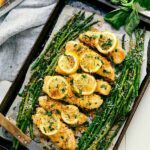 One Pan Lemon Parmesan Chicken and Asparagus: lightly breaded garlicky lemon parmesan chicken and asparagus all cooked on one pan. We had this parmesan asparagus for about a week straight after I bought all the asparagus when it went on a local sale. After that all I wanted was more asparagus and when the husband asked for it, I knew it was time to make some more meals with asparagus. 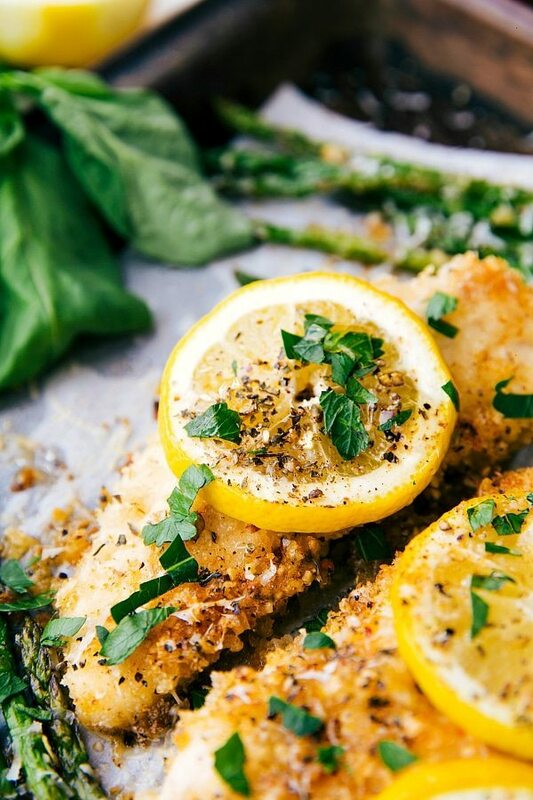 Enter this delicious and ONE PAN lemon parmesan chicken & asparagus. This meal is incredibly easy to make and there are so many amazing flavors. It is sure to be a favorite meal this Spring and Summer! ? The actual idea for this dish is based off a couple of things. First off this amazing salmon dish by Cooking Classy. I loved the look of the dish and the ease of her instructions! I still haven’t tried her recipe, but it’s absolutely happening soon. Next week? I think yes. This dinner is so easy to make and bursting with fresh Spring flavors. 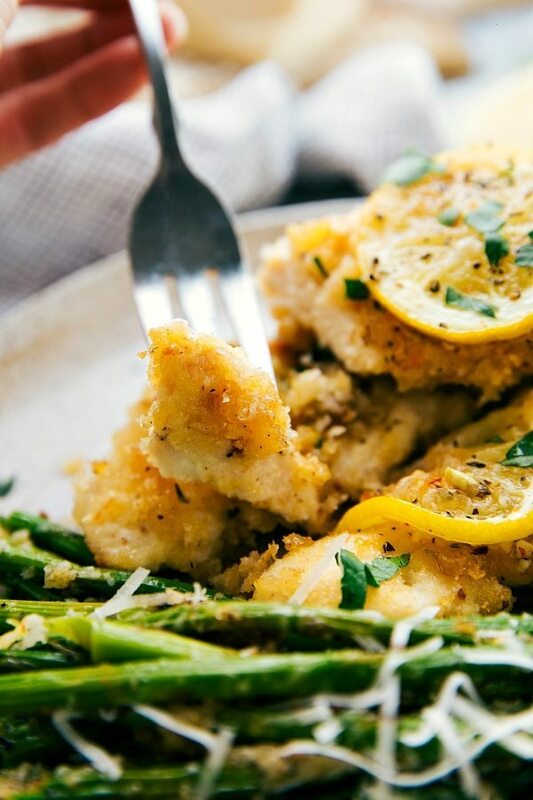 The chicken gets lightly breaded in a Parmesan + seasonings + Panko (Panko is generally used in Japanese cooking and it can be found in the grocery store in the Asian foods aisle. I definitely prefer panko to regular breadcrumbs because of its lighter and more delicate texture. It results in a more crispy and crunchy end product than breadcrumbs. Especially when you are baking chicken instead of frying; the panko makes a huge difference!). Before it’s coated, it’s dredged in a lemon garlic butter to infuse it with plenty of lemony garlic flavor. That same sauce is also poured over the asparagus (easy effort, double the reward!) which gives it a fresh lemony garlic flavor. And finally, there is a simple lemon glaze that is optional but really amps up the lemon flavor. Olive oil + lemon juice & zest + butter + honey. It takes a couple of minutes to whip together and gives the chicken a burst of delicious flavor. I really think you’ll love it! 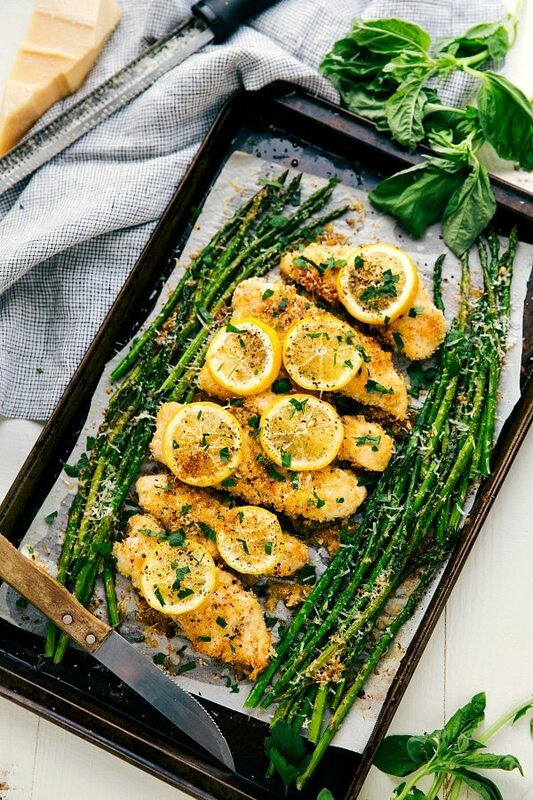 Lightly breaded garlic lemon parmesan chicken and asparagus all cooked on ONE pan. Easy and delicious dinner! *Panko is generally used in Japanese cooking and it can be found in the grocery store in the Asian foods aisle. I totally agree with you 🙂 Haha!! Thank you Malinda! I’ve updated the post with a nutrition label right below the recipe 🙂 432 calories per serving. Hi there! I was getting ready to make this for dinner and I added it into MyFitnessPal and got a much different calorie count than you. Can you tell me how you came upnwuth 432? Thanks!! I plug in the ingredients into a calorie calculator. Are you making sure to divide your number by the amount of servings? 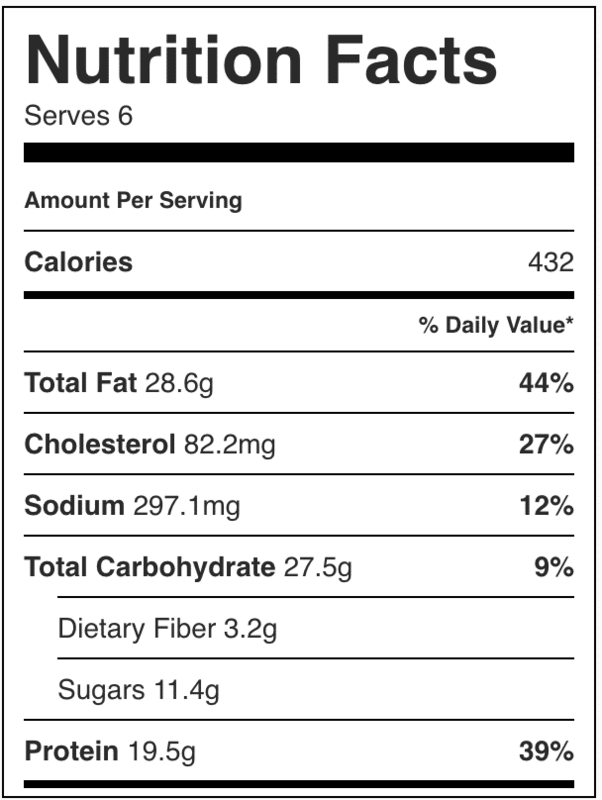 There are 4-6 servings; if you split this into 6 servings each serving is 432 calories. Well, let’s start with the fact that this does NOT decrease the number of dishes needed to cook a meal. Sure, it all bakes in one pan. 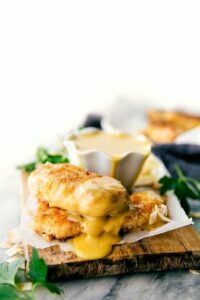 But you need the dishes required to melt the butter, juice the lemon, zest the lemon, mince the garlic, coat the chicken with flour, coat with the lemon mixture, coat with the panko mixture, and mix up the honey sauce. Then there’s the whole issue of how badly this recipe is written. Somebody needs to go back and figure out the actual steps and in what order they should be executed. For instance, the recipe calls for 3-4 lemons, but you have to read to the very end to figure out what all those lemons are for, and that you need to zest some, juice some, and slice some. And you need to use some zest here and some zest there, and some juice here, and some juice there. I do understand that you should always read through a recipe completely before you start, which I did. Over and over and over again. So, yeah, it took me almost an hour and a full dishwasher just to get this into the oven. But, hey, there was only one actual “pan” involved. Oh, and the cooking time was about 1/3 to 1/2 more than stated. And my oven cooks hotter than the actual setting. Yay!! So glad to hear that! 🙂 Thanks so much for the comment Layne! What if you’re not an asparagus fan…. Any veggie that you think would cook similarly in time & still be yummy? How about broccolini for the winter months? I was quite nervous about making this dish for company in case the chicken came out dry. I was pleasantly surprised how moist and flavourable it is. Absolutely delicious and my company raved about it. I definitely would make it again. I just made this tonight and we absolutely loved it! Thank you! Such an easy recipe, too. So happy to hear that!! Thank you Shannon!! Made it! Nailed it! Loved it! Any suggestions to substitute the parmesan cheese? My mother-in-law cannot have cheese but I think she would love this dish. Hmm I suppose you could do extra breadcrumbs? I’m not really sure what would do well in place of the Parmesan. Sorry! I’ve seen vegan recipes where they have substituted an almond or walnut mixture for Parmesan topping. Wow, made this for dinner tonight. Absolutely delicious! A definite keeper! Thank you for sharing! Awesome!! So thrilled you enjoyed this! 🙂 Thanks for the comment! Leftover chicken in a chicken Caesar salad. So good. What a great idea! So glad to hear you enjoyed it Tracy! I should add that I made some extra pieces of chicken and didn’t use the honey lemon topping on them at the end for use in the salad (didn’t think the honey would be a good match there, and the chicken kept a nice texture). Then just cut them into bite sized pieces and tossed them in. Would be good slightly warm or cold in a Caesar salad. Perfect either way. If you wanted to use whole chicken ( boneless) breasts instead of slicing them, any idea on temp. and/or time change? If you use whole breasts, the asparagus wouldn’t cook in the same time as the chicken. You can definitely use breasts, I would just cut them into smaller pieces. I don’t think it will be great after two days, even without the drizzle I think the breading will get soggy. Do i have Potatoes or such for this? Or is it meant to be served as it is? Also mu family requiries sause for Every dish. Thoughts? Looking forward to trying this recipe! Thanks for the suggestion of panko crumbs, I do love them on tempura and fish so not sure why I never considered to use them in place of breadcrumbs. Making this right now!!!!! ?? I’ve made this three times in the last two weeks haha. It’s probably best chicken dish I’ve made and had. I’m hooked! DG you think a silpat or foil would work instead of the parchment? I know they can change the way things cook, but I don’t have parchment. Forgot to buy it at the store. ? Made it tonight for my family and a neighbor family whose husband is sick. Everyone loved it. My 6 year old who doesn’t like meat ate 3rds. The sick husband ate more of that than before his surgery. I used fresh green beans, and it worked great. This sounds so good my mouth started watering while I was reading it. I would need to make some wheat free and dairy free adaptations but that’s doable. These will definitely be on our menu next week! So good! Just jumped to one of my favorite dishes to both make and eat 🙂 ! Very tasty! A lot of steps but worth it in the end. My whole family enjoyed it. Hi, I just made this and I’m having a lot of trouble getting the chicken to get golden brown like in your pictures. It stays mushy, and I stuck a couple of pieces back in the oven it they still aren’t browning correctly even though they’re cooked all the way through! Any suggestions? I had the same problem! I did use panko – followed the recipe exactly. Usually when I make a dish like this it calls for the oven to be set at 425…think I’ll try that next time. It’s still in the oven with only a minute to go and it’s nowhere near browned! The recipe looks really good and easy to try. I was wondering if butter could be replaced with another substitute in this recipe to make it healthier. Any suggestions? Thank you. Made this for dinner tonight. Quick, easy, and most importantly delicious! I would not change a thing with this one. The sauce made the dish go fron good to great. There were no leftovers and my husband let me know it is most definitely a keeper! One word “WOW”!!! I am no great cook lol. I decided to give this a try and boy am I glad I did!! Fantastic. My husband was even impressed and that is no easy task. Tasted like something you would pay 15 bucks to eat at chillis or applebees. I will be checking out your other recipes for sure. Thank you for helping me cook up something new!! What an amazing compliment to get Heather! Thank you so very much! 🙂 I’m thrilled it was a such a big hit! This gets my Recipe of the the Year award! I can’t say enough good things about it. My husband LOVES it. My friends and other family members that I have made it for LOVE it. Fourteen people on an evening lake cruise LOVED it, including a young French friend who hugged the platter and refused to share. I have also used the leftover chicken in a pasta dish with lemon sauce. Chelsea you are amazing! Thank you for sharing your gift of good food. Could I bread the chicken the night before and cover in refrigerator? I want to serve for a bridge luncheon and would save preparation time day of party. Thanks, will definitely try for my family too! Looks great! Could I bread the chicken the night before, cover and put in fridge!, then cook the next day as a time saver? Thanks, can’t wait to try! I think it would get soggy. I’d bread it right before baking. You can certainly prep all the bowls beforehand though! Just a quick update. I breaded my chicken, reserving 1/2 of the butter lemon garlic solution so I had some that had not had raw chicken in it. I covered it and put it in the refrigerator. The next day I took it out about an hour before cooking to come to room temperature and then followed the recipe for baking and adding asparagus etc. It came out great. This is now my favorite go to for company, as I can do most of the prep work ahead. It got raves! Thank you so much!! This was so good!! I showed it to my husband to see if he would want it and he thought it looked delicious. I was nervous because I’m my the best cook but this turned out amazingly well! He wants this to be a weekly dinner now. Made this last night and it is now a new family favorite. Will definitely add it to my weekly rotation. This recipe looks absolutely amazing. I would love to make this for my parents. My Mom is on a gluten free diet, so I’d like to make this dish using Corn Flakes breadcrumbs, and of course substitute cornstarch for the flour. I’d like to know your thoughts. Thank you Anne! 🙂 I honestly don’t know how it will turn out with the substitutions, but I would avoid cornstarch. I’d use a gluten-free flour blend before using cornstarch. Wish I could be of more help! Thank you – I’ll let you know how it turns out! This was so delicious! I mixed in 1/4 cup Italian breadcrumbs since I had some with the panko and didn’t do the honey sauce, but other than that followed everything else. Fantastic and thank you for this recipe. It will be a go-to recipe for me now. I made it but my crust was mushy, not crunchy. It had a great taste but what did I do wrong? Did you use Panko? And did you bake it all the way through? You could always try broiling for a little bit at the end to help it crisp up! Hi, we just moved into our new apartment and I only have aluminum foil at the moment. Would it be okay to use this instead of the parchment paper or will the result be different? Foil should be fine 🙂 Enjoy! You are welcome! 🙂 Yes absolutely! This recipe is a keeper. Made it tonight and it took me some time but will definitely be faster next time now that I know the recipe. Thanks! This is absolutely delicious!!! Thank you!! I bought asparagus for me and broccoli for my husband because he doesnt like asparagus. How would you cook the broccoli with this? I think it would be fine to be cooked the same way with the asparagus 🙂 Enjoy! I am a horrible cook. This dish was great because I had most all the ingredients. I managed to cook it and it was wonderful! Thank you! I’m so happy you enjoyed this dish Beth! 🙂 Thanks for the comment! YUM!!! Just made it and loved every bit of it! Thank youuu! Yay! Happy to hear that! 🙂 Thanks for the comment Claire! 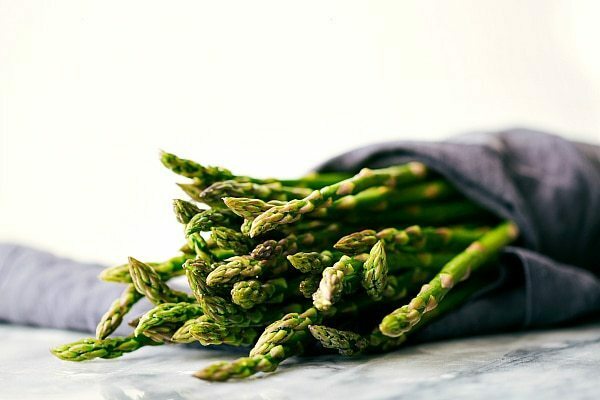 Can you suggest another vegetable than asparagus? I love it but my husband turns his nose up. Or maybe something to add to the asparagus. Anyone know how many weight watcher points this would be. Awesome recipe! Not so good at trying new things but this recipe has turned out so far so good. Followed the recipe to the T.
I made this for dinner tonight! It was delicious!! Even my 3 year old devoured it! I can hardly get her to eat veggies, but these Asparagus went down like candy 🙂 Thank you!! How many calories per service. ONG this is Delish!!! Haha thank you! I’ve updated the post with a nutrition label right below the recipe 🙂 432 calories per serving. Did you use Panko or breadcrumbs? You also might not have shaken off the melted butter mixture well enough before dipping in the panko mixture. I made this over the weekend and it was delicious! The entire family ate it with gusto! I am thinking to add it to this weeks plan but using fish – can you suggest what adjustments would need to to be made in preparing/cooking this with a flaky type of white fish? Could i cook this in a slow cooker? I would not recommend that. I made this last night with left over cutie oranges instead of the lemons. We had broccoli and cauliflower, so no asparagus…but the chicken turned out amazing! Thanks! My family loved it. Oh that sounds delicious! What a fun twist 🙂 Thanks for the comment! I’m a 16 year old boy learning to cook that looks easy to make. I can make it for my four siblings my mom’s boyfriend and my mom and my grandparents. Thank you, Chelsea! I’ve been a self-taught cook for about 3 years now. This one was easy to put together. The only thing I added was a little Thyme to the panko mixture and a little in the melted butter mixture, along with some half-sauteed mushrooms to sprinkle in on the second 10-12 minutes for an extra element. Fantastic meal! The whole house loved it! I will definitely be making this again. Am I supposed to use grated or shredded parmesan? I like freshly grated best! Aren’t make-ahead dinners the best? I need to prep those more often, I think it would make my life A LOT easier! 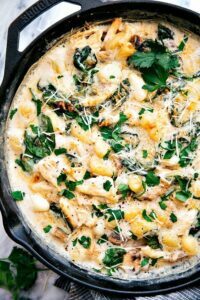 I’m also obsessed with this gorgeous gnocchi dish. Love the lemon flavors here! The BEST oven chicken i’ve EVER had! Love the lemon flavor and the chicken was not soggy. Great job! Thanks for sharing!!!! I’m a home chef and will alter recipes. I would not add to nor take away from this recipe. It was amazing. I really appreciated the side note of not pouring over the sauce if intended for left overs. Good advice! Thank you so much! 🙂 I appreciate your comment! Made this tonight for my kids with mashed cauliflower and they LOVED it. ?? Since it’s just the 3 of us leftovers tend to get thrown away if I don’t freeze some. Have you ever frozen leftovers or saved the honey lemon sauce and have a recommendation for best method? I’m so thrilled to hear that! Thank you for the comment 🙂 Unfortunately I’ve never tried freezing leftovers so I can’t be of much help, but hopefully someone else can chime in here! Made this for dinner last night, I can’t say enough about how delicious and easy it was to make. Thanks so much for sharing this treasure! I’m looking forward to trying more if your recipes. I’d like to add that my chicken didn’t have any color for some reason. I put it in the broiler for a minute or two and that did the trick. Also I suggest making the sauce, that’s what really knocks this meal out the park! I’m so ready for more can you tell!? Your recipe came through in a blog post about sweet and savory lemon dishes from the Recipe Critic site a couple of weeks ago. I’m so glad I pinned it. It was super simple and delicious! I left off the honey lemon sauce because we’re not fans of sweet sauces. Maybe it makes it even more delciious but I can’t imagine how you can improve on the basic recipe. Amazing! This will be on regular rotation in my house. I can’t wait to make it for company! Regarding the nutrional information, is it for all six pieces or for one piece? There are 6 servings. So if you split all the food equally in 6 parts, each part is 1 serving and 432 calories. I made this for dinner tonight and it was a huge hit. Especially with my 2yo! I’ll be adding this one to our regular meal planning rotation… Thanks for sharing your recipe! Thank you so much Michelle! I’m extra flattered it was a hit with your 2 year old, that’s usually how I gauge my success at my house! haha? It’s definitely a regular meal at my house too! Glad you guys enjoyed! 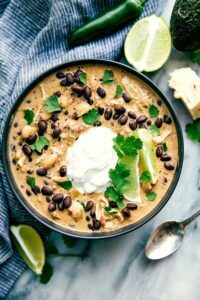 I don’t know about the taste but by reviewing everyone’s comment I think this recipe really tastes good and tonight I’m going to serve this recipe to my guest.I hope everyone will love it. OMG just watching the video made me so hungry for dinner… and it’s 8:30 in the morning! I absolutely cannot wait to try these chicken tenders. Thank you! Absolutely beautiful pictures! what an inspiration! Anything that can be made in 1 pan sounds good to me! I just made this and got done eating. this is AMAZING. the sauce is delish. This is now one of my favorite recipes. You had me at Lemmon. This looks amazing! My mouth is already watering. I want to make this tomorrow night but have a question. My husband will eat this right away but I’m a night nurse and will eat mine at work later… can I make the lemon honey sauce and bring with me to use after I reheat my food? I’m so happy to hear that!! And adding thyme + mushrooms sounds delicious thanks for sharing this post.. So looking forward to trying this tonight! Thank you! Going to try this on weekends. My family and I loved this recipe. I just made it last night. It turned out great! I will definitely be making this one again. Thank you! Wow! I love this. Mostly because of the panko added. Have not tried this yet but promise to give you a feedback when I do. So happy to hear this was a hit! 🙂 Thanks for the comment Laura! I know that you posted this forever ago! But we just enjoyed it last night for dinner! Yum! Hi, we are doing low carb so I was thinking of using pork rinds in the place of the bread crumbs, I’ve done this before but I’m not sure about the honey lemon topping. Do you think the chicken would still have plenty of flavor if I didn’t use the lemon honey glaze? Or do you have another suggestion? You know how you make those meals sometimes that truly – you could have ordered it in a restaurant? Made this one last night and it was THAT GOOD. Oh my goodness. Even the 10 and 7 year olds were RAVING 🙂 Love it. Thank you so much for this recipe!!! Chelsea, thanks for the recipe. Delicious! I just tried this recipe yesterday for my husband as a surprise after marriage. He really loved it and I’m so happy that my first cooking was a big success. Thanks a lot! Chelsea, Delicious! I wonder, but a lot of calories? We absolutely loved this recipe! I though I could count on leftovers but we ate every last bite. Thanks for the awesome dish – I’ll definitely make it again, and next time I may have to double it. This was so good. I can’t wait to make this again! Just want to say thanks for this delicious and easy to make recipe. I made this tonight and we absolutely loved it! Thank you! BIG HIT!!! This Is delicious-flavor filled! So super easy, and a huge hit among all 4 of my kids-they all even age asparagus-not many kids like that veggie!!! I added broccoli to it when I made it and that was awesome too! We are adding it to our weekly weeknight rotation! So full of flavor, so easy!!! Thank you!!! Love love sheet pan meals! BIG HIT!!! This Is delicious-flavor filled and chicken was juicy not dry (which I was afraid would happen)! So super easy, and a huge hit among all 4 of my kids-they all even ate the asparagus-not many kids like that veggie!!! I added broccoli to it when I made it and that was awesome too! We are adding it to our weekly weeknight rotation! So full of flavor, so easy!!! Thank you!!! 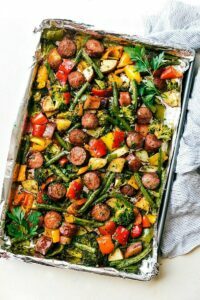 Love love sheet pan meals that work! !